A mechanic&rsquo;s lien protects contractors and subcontractors from owners who refuse to pay them for work they perform. If a contractor completes a job and the owner refuses payment, the contractor can file a lien on the owner&rsquo;s property. If the contractor proves his claim in court, the court may order the owner&rsquo;s property to be foreclosed to satisfy the lien. In some states, contractors have a lien when they start the work. However, in Maryland, contractors do not have a lien until they seek to enforce it in court. You must act quickly, therefore, to secure your rights in Maryland. File a &ldquo;Petition to Establish a Lien&rdquo; in Maryland district court in the county where you performed the work. The petition must describe who the parties are, what work you did and how much you are owed, and it should include a statement that you have not been paid. Attach all documents supporting your claims to this petition. Use the "Maryland Notice of Intention to Claim a Lien" to serve the owner with notice of your intent to establish a lien on her property. This notice must be delivered within 120 days after the last date of work. Include a copy of your petition to establish a lien. Hand-deliver these items and ask the owner to sign a document verifying she received them or send them via first class registered mail, return receipt requested. Attend the show cause hearing ordered by the Maryland court. Typically, the court schedules this hearing within 90 days after you file the petition. At this hearing, you must prove that you have not been paid. The court will order an &ldquo;interlocutory lien&rdquo; on the property. File a lawsuit seeking to enforce the lien within 180 days after the date of the last work. You will have to prove that you are owed the money; the owner will have a chance to defend himself. Lawrence, George. "How to File a Mechanic's Lien in Maryland." 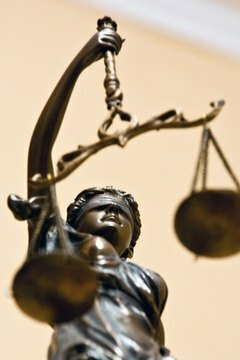 , https://legalbeagle.com/6723378-file-mechanics-lien-maryland.html. Accessed 23 April 2019.